5 tips for ordering tailored clothes in Hói An, Vietnam. Troy with his ‘regret’ face, in a jacket that turned out exactly like the picture, but not exactly how he wanted. My trip through Vietnam last fall was vaguely planned (to leave room for spontaneous fun!) so while I had heard that Hói An was FAMOUS for custom-ordered clothing – I resisted making any plans to get something made until we arrived there. I was happy with the tailor and the experience but I was not happy with my garment. Here is a list so you can learn from my mistakes. 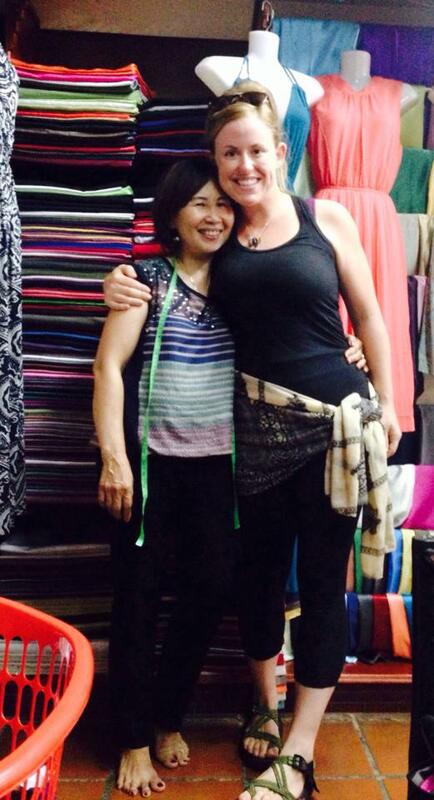 Here are five things to know before ordering custom clothes in Hói An. Amanda was well prepared and loved her garments from Kim! 2- Choose your items early. I had figured that I’d just pick out something from a book that I liked. That is not how it works. Spend some time looking things up online and save a few photos from different angles to show them how you want the garment to fit. I showed the woman 1 photo and she made some notes and showed me a similar photo in a catalog she already had. I ended up choosing a simple black dress that I thought would be ‘timeless’ in silk. It ended up looking like a frumpy dress you’d wear to a funeral. 3- Choose your fabric and know how to recognize silk. Hói An is famous for silk and silk lanterns. Therefore, I thought I’d get a silk dress! I had even read up on how to tell if it’s actually silk… but then when I got there it seemed like too much of a hassle to get the nice woman to pull strings off the fabric and burn them to prove it was actually silk. 4- Haggle for the best price. For many American tourists, haggling is stressful and the falsely inflated prices make it feel like you’re being cheated. 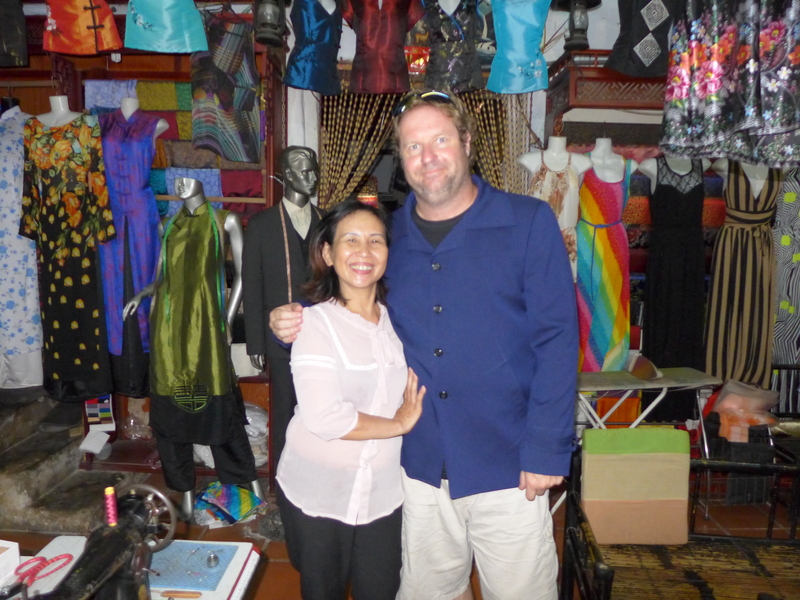 Of course the locals overcharge the tourists sometimes but haggling can be fun! Ask the price, then counter-offer with 1/3 that price and hopefully you’ll come to a price that you both can agree on. 5- Plan an extra day for a 2nd fitting. The garment that they make IS based on your exact measurements, but they will cut it a bit larger to make sure that it fits. My garment was frumpy and didn’t do my figure any favors. With another day to cinch in the waist and adjust the darts, it might have been wearable.